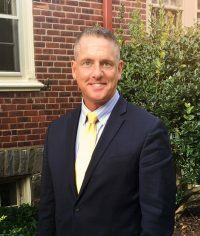 In his role as Agent and Manager of Pillar Real Estate Advisors, Eric utilizes his extensive background in commercial real estate development, acquisitions, landlord representation and leasing. Eric has successfully negotiated the leasing of space for such notable tenants as Giant Supermarkets, CVS, Hair Cuttery, Abington Bank, Saxby’s Coffee, Sleepy’s, Children of America, Subway, Verizon Wireless, Play N Trade, Petco, Total Body Fitness, Pep Boys, Surf Side Fitness and SMG Sportsplex. Eric has worked with, and completed disposition assignments for notable property holders such as PNC Bank, Kin Properties, Realty Income, Wells Fargo Bank and First Niagara Bank. Eric has vast experience in the marketing, acquisition, land development and sale of commercial real estate throughout the region, inclusive of Shopping Centers, Pad Sites, Industrial Properties, Office Complexes and Mixed Use Developments. He has cultivated and maintained valuable working relationships with the area’s leading engineering, legal, brokerage and municipal professionals. Eric is a licensed real estate agent in Pennsylvania.